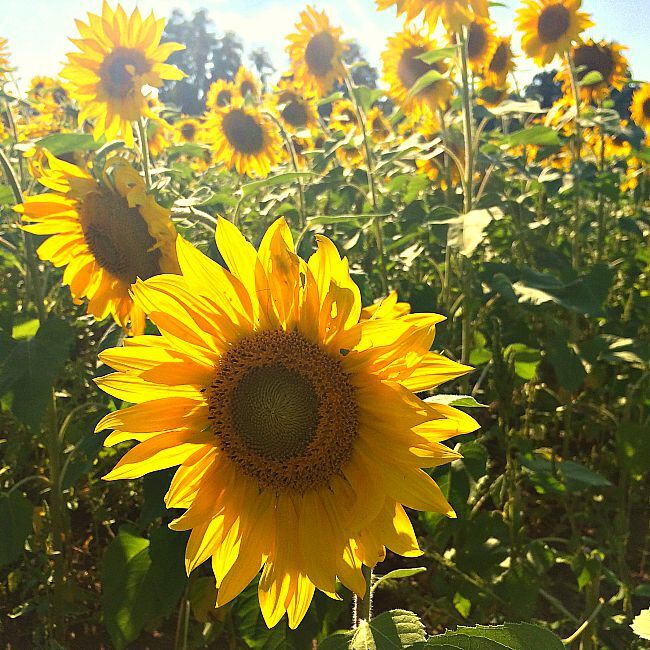 Say goodbye to summer by checking out the Clear Meadow Farms Sunflower fields. 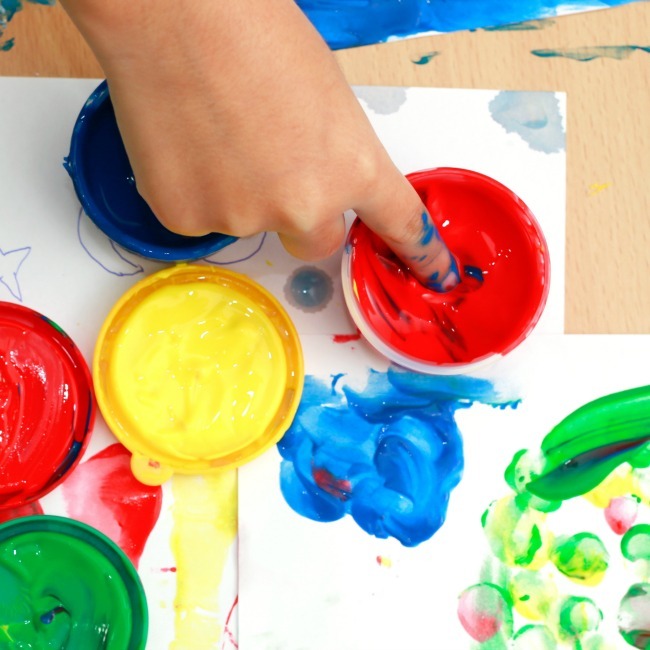 It is on the top of the fun things to do with kids in Maryland! 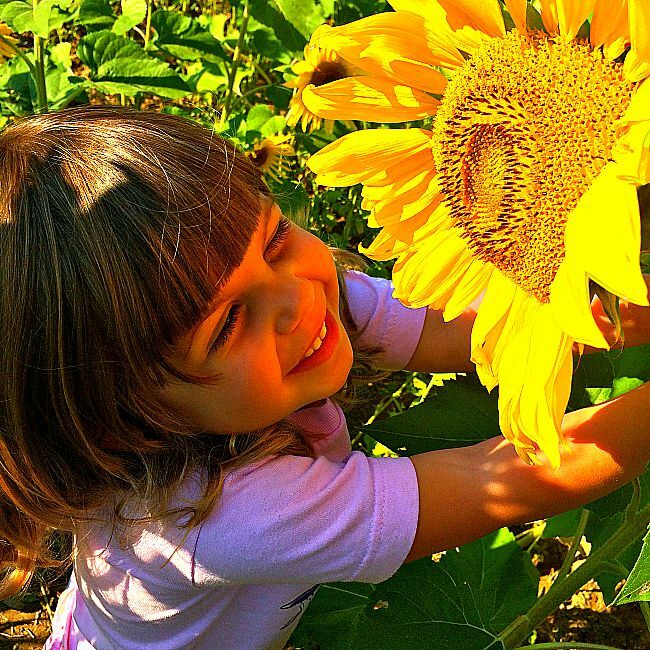 Clear Meadows Farm is expecting the sunflowers to be in full bloom through about October 21st. However, to be sure the flowers are still lovely, check for updates on their Facebook Page here. The sunflower fields are pretty much open during daylight hours. There is designated parking at the farm asks that you do not park on the road (illegal) or at local businesses. Please park in the designated parking. Apparently the grassy lot reserved for parking is quite big. Admission Fee: $5 per car or $1 per person for large buses/groups of sunflower visitors. During peak hours there will be volunteers on hand to collect (cash only) and an honor system bucket during off peak hours. Please don’t cut the flowers, but you can buy pre-cut stems for $1/stem. There will also be other yummy treats available for purchase (cash only). For two weeks every September, Clear Meadow Farms in Harford County puts on the most spectacular end of summer show. There are no lights, no live music, no kiddie rides. However, if make the trek out to Jarrettsville, you will get the unique pleasure of seeing acre after acre of sunflowers, preening and stretching to soak in as much sun as they can. 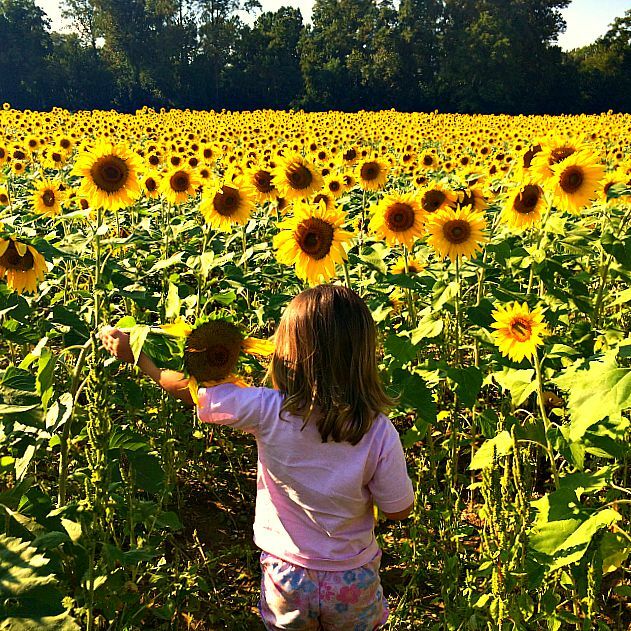 These sunflower fields were definitely on our list of Fun Things to Do With Kids in Maryland. 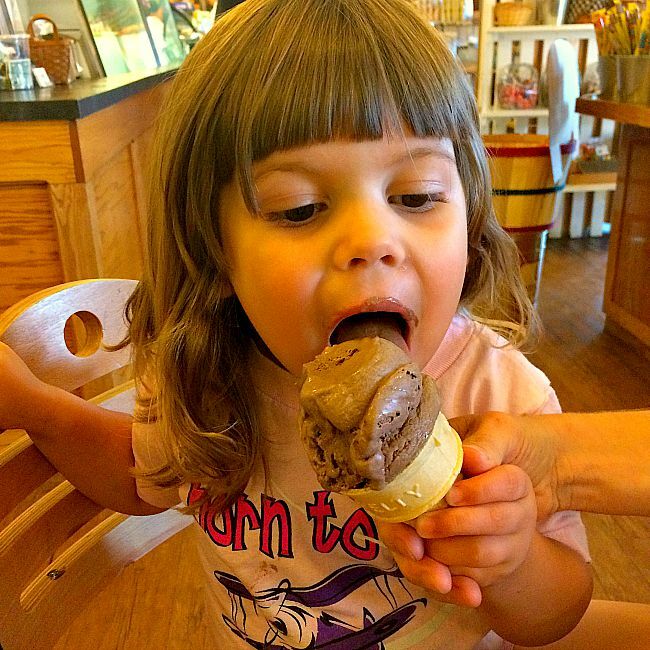 Check out the gorgeous pictures from our recent trip and hurry on out to celebrate the end of summer with Clear Meadow Farms! There really isn’t much to a visit to the sunflower fields. I mean, their beauty is breathtaking and speaks for itself! Is this an even year or an odd year? This tip is very very important: The sunflower fields rotate locations. In odd years (2015/2017/2019) the fields are planted in Jarrettsville (directions below). 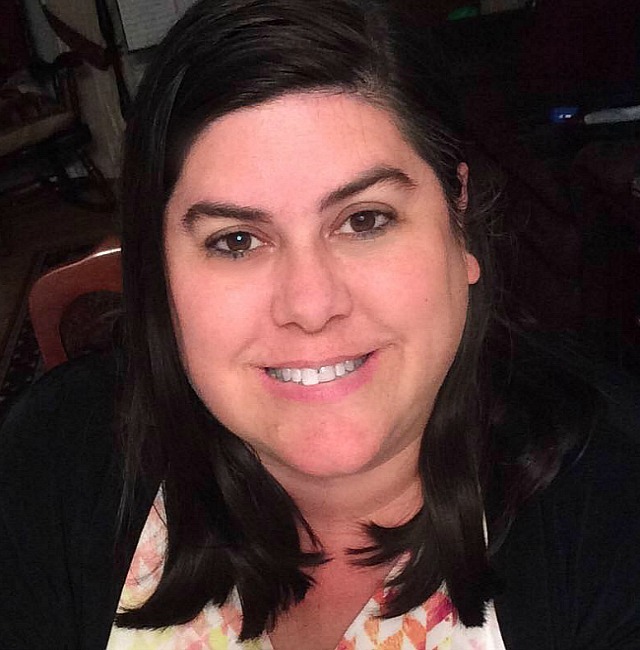 However, in even years (2016/2018, etc…) that field was a crop of corn and the sunflowers were actually at a much larger field in Monkton, MD. EVEN NUMBERED YEAR DIRECTIONS: These fields are at the corner of Hess Rd. and Rt. 146. There is a Royal Farms convenience store and gas station across the street. If you want actual Google Map directions, I would suggest plugging this address in: 3209 Jarrettsville Pike, Monkton, MD 21111. Alternatively, the sunflower fields are about a mile down the road from the Ladew Topiary Gardens. Either way, they are impossible to miss. 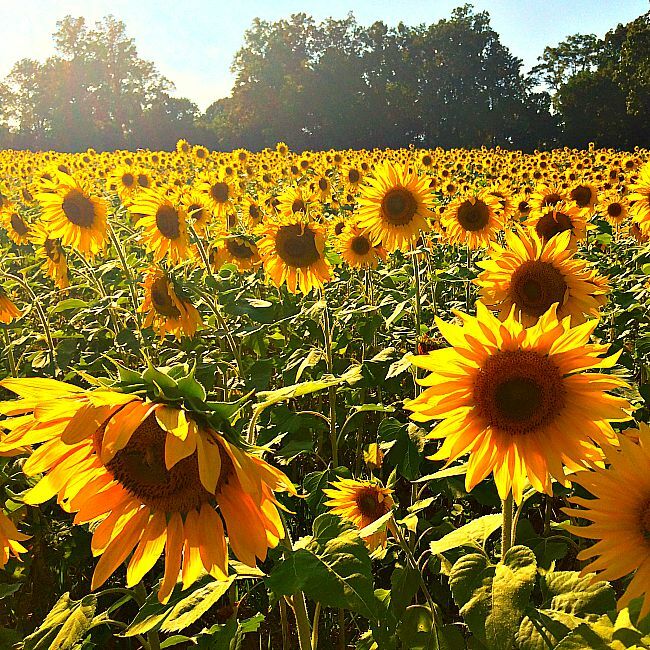 These particular sunflower fields are dubbed as, ‘endless sunflowers’ and you can probably figure out why. Park along the street or drive down Hess Road and park if you don’t want your vehicle to be parked along the side of Rt. 146. I don’t want to speculate (because I could be wrong), but it seems like Clear Meadow Farms rotates the field crops between sunflowers and corn. In 2016, they actually have a few stalls set up to sell cut sunflowers, $1 a stem. ODD NUMBERED YEAR DIRECTIONS: These particular sunflower fields are not located at the main Clear Meadow Farm. The address for Google Maps is: 3769 Norrisville Rd. Jarrettsville, MD 21084. Here is a link to the Google Maps directions: https://goo.gl/maps/w1TSKmGwFzu. According to their website, the field is located between Smith Hardware and Keene Dodge, across from the Jarrettsville Pharmarcy. If you are coming from Baltimore or points South, you will end up on MD-165N. At the intersection of this road and W. Jarrettsville Rd, turn left. You should be able to see the corner of the sunflower fields peeking out from behind the buildings at the intersection. 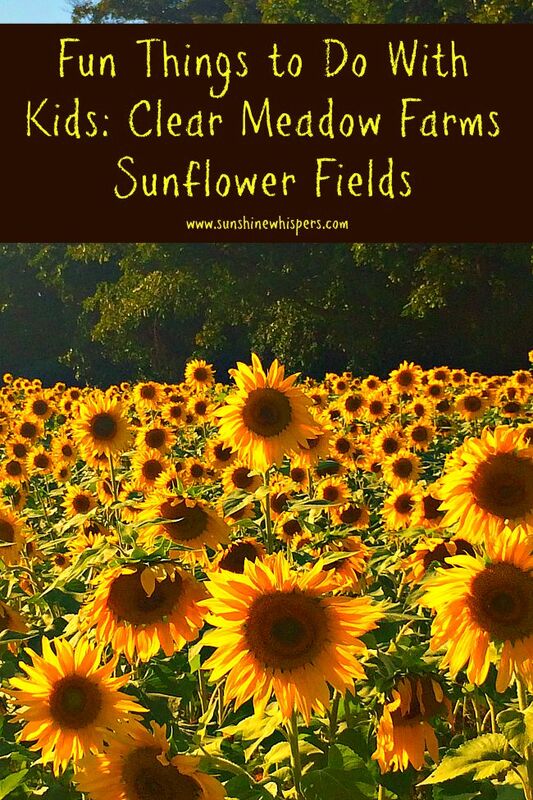 Drive past the sunflower fields (be careful.. you will definitely want to rubber neck) and then turn right to park in the grassy area next to the fields. 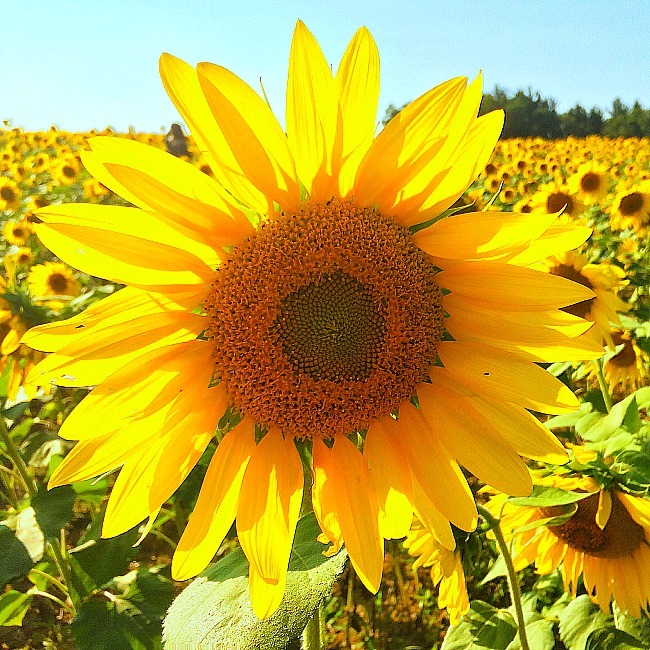 There is plenty of parking for the sunflower fields, so please park in the designated areas. 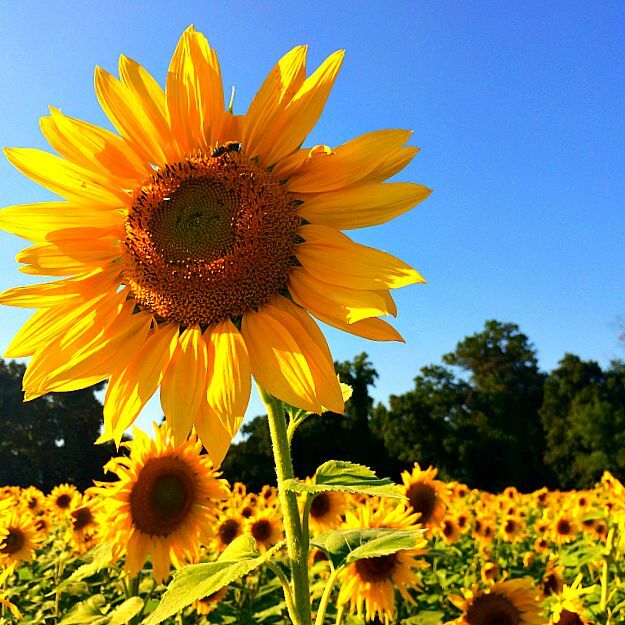 New for 2017: Clear Meadow Farms is charing $5/car to park and see the sunflowers. All proceeds will be donated to community organizations. The sunflowers in these fields are very accessible for photographers and kids. The sunflower variety is shorter and there are plenty of paths that have been created to make it easy to walk in the middle of the fields. One note: There are bees, but seriously, they are not interested in you or your kids. They are only interested in the sunflowers. 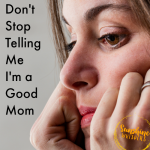 If you don’t ruffle their feathers, they likely will not bother you. The sunflowers in the fields are not for picking. Clear Meadow Farms will be harvesting them and they ask that visitors do not pick them. New for 2017: It seems the farm is selling pre-cut sunflower stems for $1 a stem at stands along the road. They still ask that you don’t pick the flowers, but you can still take a few home with you. However, it appeared that dogs on leashes are allowed to frolic in the fields. We saw quite a few doggies. Just remember to pick up the poop (ha!). Sunflowers and doggie doodie don’t mix. 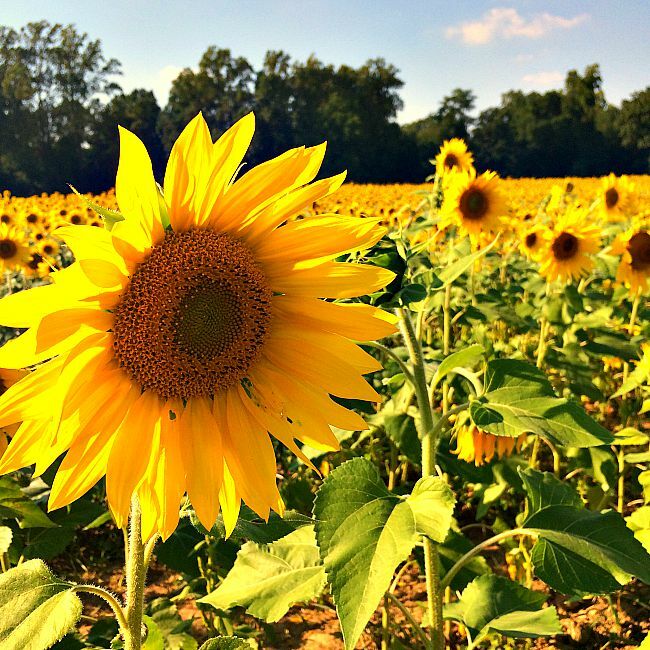 After taking your fill of the sunflower fields, turn left and drive about 1/2 mile down W. Jarrettsville Rd. 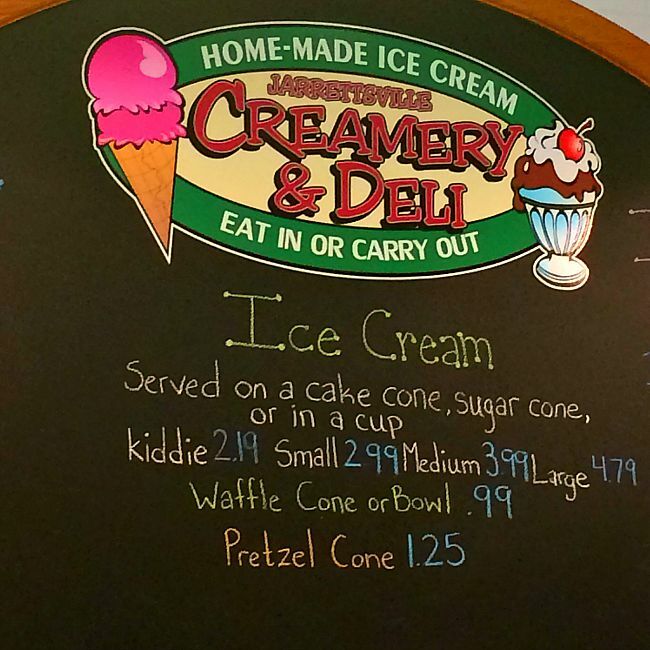 Stop in at the Jarrettsville Creamery & Deli. 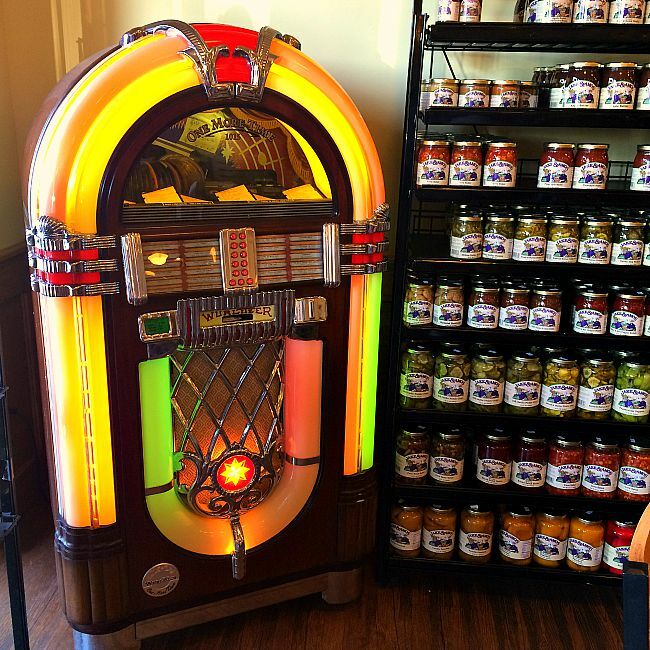 We filled up with delicious sandwiches, topped off with a big ice cream cone, and even plugged in a few golden oldies (from the 80’s.. but yeah, I remember it like it was yesterday too!) from the juke box to listen to. Drinks and snacks will also be available for purchase at the sunflower fields (but I highly recommend stopping in here for ice cream and a sandwhich!). 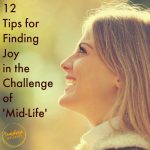 Either way, check out these fields and fast! Peak bloom for 2017 is September 15th!